L’historiographie dominante des Guerres de Religion françaises (1560-1594) veut que celles-ce auraient été menées par une noblesse protestante belliqueuse et impatiente qui aurait trainée les réticents pasteurs réformés dans une aventure incertaine. L’étude Prophets in Arms ? Ministers in War, Ministers on War de Philip Benedict (périodique Past & Present, Vol. 214, N° 7, 2012, p. 163-196) démontre cependant que c’est là une vue erronée, et que c’est plutôt les ministres réformés — Théodore de Bèze et Jean Calvin en tête — qui poussèrent une noblesse huguenote engourdie à combattre militairement pour le Royaume de Dieu sur Terre. Des extraits de cette étude sont ici reproduits. 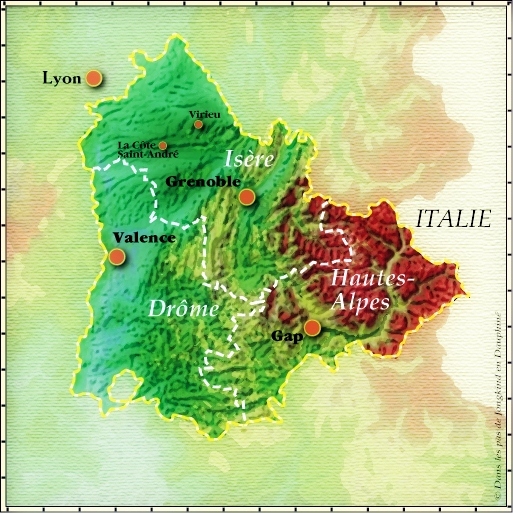 The provincial synod of Dauphiné and the Lyonnais held in November 1561 decided that henceforward synods would ‘only treat matters pertaining to religion alone’; financial affairs would be put in the hands of competent deputies. The decisions taken during the First Civil War by the Protestant-controlled Estates of Languedoc and Dauphiné to organize the military, fiscal, and political affairs of the substantial portions of those provinces under Huguenot control […] in December 1562. […] Meeting of the Estates of the Protestant-controlled Vivarais [took place] in the same month. It appears that Beza and Calvin were jointly engaged in raising money for troops that they were willing to place at Antoine’s service if he were prepared to grasp the nettle [contexte : rencontre de Bèze et d’Antoine de Bourbon à Nérac en été 1560]. When the First Civil War broke out, Beza was once again in France. He quickly joined those around the prince of Condé [Louis Ier de Bourbon-Condé, dont l’étendard arborait la devise « Doux péril pour Christ et la Patrie » selon Agrippa d’Aubigné], was among those advising him during the critical days prior to his seizure of Orléans, probably ghost-authored his subsequent manifestos justifying his actions, wrote independently to the Reformed churches of the kingdom urging them to send men and money for the Protestant cause, and served as one of the cause’s treasurers and fund-raisers. In early 1573, for instance, he [Bèze] was involved in the planning of a military expedition involving refugee Huguenot noblemen that set out from Geneva to revive the dormant churches of Dauphiné and that vainly attempted to seize Grenoble. The following year he helped to organize an expedition against Mâcon and Chalons-sur-Saône. Martin Taschard […] had been ordained as a minister in Geneva in 1557 and dispatched to the Waldensian valleys of Piedmont. There in 1560–61 he led an armed squadron of 100 harquebusiers that seized and ‘purified’ churches in the Val Pragelato and Val Germanesca, then played an essential role in the successful armed defence that the churches of these valleys mounted against the duke of Savoy’s effort to outlaw their assemblies. In the Gevaudan the minister Anthoine Copier captained the troops that took Mende in July 1562. On the whole, however, they [the ministers] seem to have advocated resistance without surrender more often than noble Protestants [!]. After the prince of Condé and the grandees who had rallied around him seized Orléans on 2 April, manifestos issued in his name were in fact likely to have been authored by Beza. Once the wars were underway, a clear majority of ministers advocated resistance jusqu’au bout. The concept of prophetic politics was first suggested to me by the dedicatory epistle that Theodore Beza addressed to Gaspard de Coligny in 1565 to accompany Calvin’s commentaries on the first twenty chapters of Ezekiel. […] He [Coligny] could act ‘in God’s manner and on God’s advice’. Since the same God determined the outcome of biblical events as those of all times, the maxims that can be drawn from Scripture are perpetual and unchanging, ‘indeed more certain and infallible than all the principles of the mathematicians’. Take for instance the avis concerning the legitimacy of a war with Savoy addressed by the Company of Pastors to the authorities of Geneva in 1582 in response to their request for an opinion as to whether or not it was appropriate to undertake a war in response to the continued Savoyard harassment of the city’s commerce and provisioning. […] In this instance, the pastors judged, the repeated intrusions, violence, and pillaging of lands that they believed belonged to Geneva, ‘notably the damage done to temples and buildings belonging to the public together with the obstruction of the holy ministry’, made any war undertaken properly defensive and just. It was also important that a good code of military justice be drawn up and enforced should war ensue. [Dans une lettre de Bèze à Navarre en 1575, le ministre explique que le roi] should not listen to those who would try to convince him that free and regular meetings of representative bodies weakened the authority or dignity of rulers, but instead maintain well ordered assemblies as the true means to make rulers serene in their conscience, loved by their subjects, feared by their enemies, and blessed by God. During the First Civil War Montauban emerged as one of France’s leading Protestant strongholds by successfully resisting three royalist and Catholic sieges, the third and longest of which lasted from October 1562 until March 1563. Soon after this final siege began, the enemy commander asked to open negotiations with the city and its military commander, the captain Laboria. The ministers in the city opposed all negotiations ‘alleging that through such means the hearts [of the defenders] would be weakened and their faith in God sapped’. […] As October advanced, the ministers as a group formally opposed further negotiations with the attackers ‘with several lively remonstrations and the express witness of Scripture, notably the story of Nehemiah and other similar passages’. Another instance where we can recover some of the content of ministerial arguments is during the long and critically important royal siege of La Rochelle in the aftermath of the Saint Bartholomew’s massacre. […] [Les pasteurs s’objectent constamment dans les conseils à la capitulation.] La Rochelle had made a pact with the brethren of Nîmes and Montauban to communicate and cooperate with one another. […] When one of the ministers in the city, André de Mazières, a pastor in the region since 1557, learned at the conclusion of the meeting that [François de] La Noue inclined toward a negotiated settlement, he […] reprimanded him as a ‘perfidious traitor and a deserter of his party’, and slapped him across the face. […] [La Noue] chose to leave the city several weeks later and to withdraw from the conflict because he could not accept the policy of resistance. In March 1563, after the prince of Condé had negotiated initial terms for what would become the Edict of Amboise and submitted them to the 72 ministers who had taken refuge in Orléans, the ministers drafted a written protest against the agreement and urged that the party fight on till the full rights of worship accorded in the Edict of January were restored and the crown agreed to punish the perpetrators of the massacres of Vassy and Sens. At the December 1562 meeting in Montélimar of the provincial estates of the parts of Dauphiné controlled by the Protestants, a central question before the deputies was whether or not to accept peace terms negotiated between the Protestant regional chieftain, the baron des Adrets, and the royal and Catholic governor of the province, the duke of Nemours. The truce […] all inhabitants would enjoy freedom of conscience and worship, but only in the privacy of their homes. […] Unsurprisingly, the ministers present in the assembly were among the most vehement opponents of this proposal, which was defeated. Among their ranks, it might be noted, was Jacques Ruffi, representing the allied province of the Lyonnais. Contrary to what one would be led to expect by the argument […] that an essentially peaceful Protestant movement was only drawn into violence when noblemen became important within it, the ministers as a group seem more often to have advocated fighting. After being admonished by Philippe Duplessis-Mornay for never having made public reparation for the notorious scandal of his affair with the daughter of a magistrate of La Rochelle, he [Henri de Navarre] agreed to admit his fault publicly before the church of Pons just prior to the battle of Coutras. The fact of having entered into a sworn association before God intensified the obligation to persevere in its defence.